An important factor of how you represent yourself in the business world is your business card. 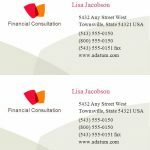 A business card not only shares your contact information, it also gives potential networks something to remember you by. Use Avery Template 8373 to ensure you leave a lasting, professional impression. Avery Template 8373 is easy to use and can be downloaded directly from this page. 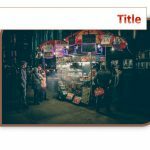 Avery Template 8373 is completely customizable and, best of all, it is free. You can’t find fault in the simple design and the professional colors. The first step is to download Avery Template 8373 to your computer. The second step is to fill in your customizable information including company name, your name, your title, and your contact information. 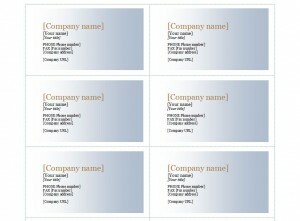 Should you wish to not include part of the contact information that is listed as a template on the card, simply delete that portion from the template. The last step is to save the file to your computer and then print it out on blank business cards. You now have a professional way to represent yourself! While you can leave the back of your business card blank, you also have the option of writing a small message such as your company’s slogan or a simple “I look forward to speaking with you”. This small extra step will set you apart from all the other business cards your network receives and will ensure that your face is remembered in the crowd. It is important to always have your business card on you because you never know when you will run into a potential connection. Keeping your business cards in a small case will ensure that they don’t get ripped or torn. The most important thing is to maintain as professional a look as possible. Consider what type of paper you use to print your business cards. Stores have many options available including different finishes such as glossy or matte. 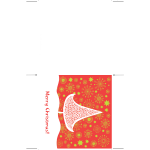 A heavy card stock is always a great option.